Cannabis use is common and increasing among women in the United States. State policies are changing with a movement towards decriminalization and legalization. We explore the implications of cannabis liberalization for maternal and child health. Most women who use cannabis quit or cut back during pregnancy. Although women are concerned about the possible health effects of cannabis, providers do a poor job of counseling. 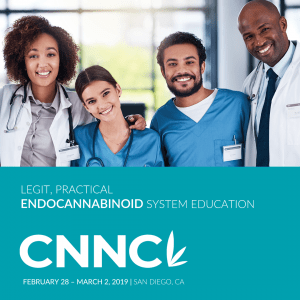 There is a theoretical potential for cannabis to interfere with neurodevelopment, however human data have not identiﬁed any long-term or long-lasting, meaningful differences between children exposed in utero to cannabis and those not. Scientiﬁcally accurate dissemination of cannabis outcomes data is necessary. Risks should be neither overstated nor minimized, and the legal status of a substance should not be equated with safety. Decreasing or stopping use of all recreational drugs should be encouraged during pregnancy. Providers must recognize that even in environments where cannabis is legal, pregnant women may end up involved with Child Protective Services. In states where substance use is considered child abuse this may be especially catastrophic. Above all, care for pregnant women who use cannabis should be non-punitive and grounded in respect for patient autonomy. The medicinal use of cannabis for ailments of the female reproductive tract has been recorded as early as 2737 BCE and has been used for treatment of migraines, menstrual cramps, labor pains and even induction of labor (Russo et al., 2002). Cannabis was a common ingredient in (so-called) “patent medicines” marketed speciﬁcally to women from the 19th into the early 20th century. Concern for cannabis-related social ills led to its criminalization in 1937 just a few years after the prohibition on alcohol was revoked. Medical literature consequently shifted to focus on potential harms of use including during pregnancy and postpartum. Although, at the federal level, cannabis remains classiﬁed as a schedule 1 drug, many states have liberalized cannabis laws allowing for medical and recreational use. As cannabis use is common and as changes in state policy may inﬂuence use patterns in pregnancy, we review the implications of policy changes for maternal and child health. Cannabis is a commonly used substance with 9.5% of reproductive-aged women reporting past month use (SAMHSA, 2015). Use has increased over the past decade among both pregnant and non-pregnant reproductive-aged women and is most prevalent in women aged 18–25 (Brown et al., 2017). Pregnant women report less cannabis use (4.5% overall) compared with non-pregnant women and use decreases markedly through pregnancy (Mark et al., 2016 and SAMHSA, 2015). Pregnant cannabis users are more likely than non-pregnant users to report daily use (16.2% vs 12.8%) and more likely to meet criteria for a cannabis use disorder (18.1% vs 11.4%) (Ko et al., 2015). 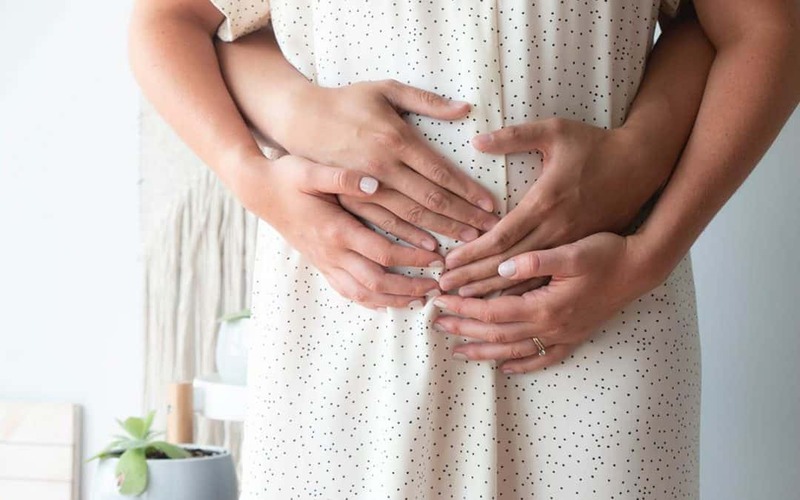 Many pregnant women who use cannabis are concerned for their health and that of their baby-to-be and seek information about cannabis and pregnancy. However women report little receipt of concrete information from health care providers and turn instead to friends and the internet (Jarlenski et al., 2016). Indeed providers do not appear to provide adequate counseling. In recent study evaluating providers’ responses when patients self-disclosed cannabis use during a prenatal care visit, 23% of providers did not even acknowledge the disclosure and 48% provided no speciﬁc counseling regarding cannabis and its effects on pregnancy. Of those who did provide some counseling, 70% of the time was spent on punitive content such as legal implications and investigations by child protective services (CPS). Notably, African American patients were nearly 10 times more likely to receive punitive counseling. When providers chose to provide medically related counseling, only 26% of the time was the counseling clear and evidence-based. Most providers that chose to provide counseling gave vague, general statements and gave no or unclear reasoning for their recommendations (Holland et al., 2016a, 2016b). Holland and colleagues also conducted semi-structured interviews with providers and found that many providers who relied on punitive counseling admitted that they felt the evidence was unclear. One provider stated “I don’t feel that I have all that much information” and many providers admitted using punitive counseling and “scare tactics” (Holland et al., 2016a, 2016b). This reliance on punitive counseling is problematic in two ways. First, it can cause a fracture in the doctor-patient relationship and make the patient feel as though she is being threatened and should not be forthcoming with information. Perhaps more importantly, when providers use the illegality of cannabis as the main reason for recommending against it during pregnancy, if and when it becomes legal this implies that concerns regarding use in pregnancy will no longer be a public health issue. There are several possibilities as to why providers avoid counseling patients on the harms of marijuana. It is possible that they ﬁnd the evidence cumbersome to interpret and therefore to explain. Some providers may fear that their patients will not understand the nuances or they may possibly not understand it themselves. Alternatively, it is possible that some providers do not believe that there is harm associated with neonatal cannabis exposure. One could argue that with the sheer amount of evidence that exists, any catastrophic consequences would be clear by now. Although this is possibly true, the absence of severe harm is not the same as evidence of safety. The contemporary view of cannabis that is leading to its legalization is effecting our medical assessment of its safety. However, the justiﬁcation for decriminalization and legalization of cannabis has less to do with its safety and more to do with the structure and framework of the criminal justice system. In medicine, equating the legal status of a substance with its safety is not only inaccurate, but it can also be dangerous as we have seen with the prescription opioid epidemic. In fact, there is ample evidence concerning the health effects of cannabis during pregnancy. Neonatal outcomes of cannabis use in pregnancy were ﬁrst described in 1982 (Hinson et al., 1982) and there have been a wealth of publications since, as demonstrated in Fig. 1. 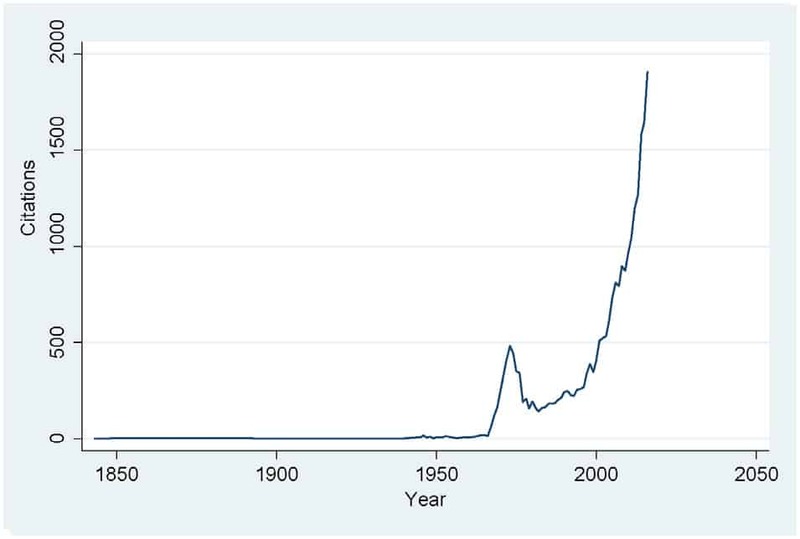 Using the search strategy “pregnancy AND cannabis OR marijuana” in PubMed and limiting to human studies only reveals a marked increase in publications since 1990, with over 800 per year since 2000. The literature is robust enough to support four systematic reviews and meta-analyses (English et al., 1997; Metz and Stickrath, 2015; Gunn et al., 2016; Jacques et al., 2014). Additionally, there are four prospective cohorts evaluating the long-term outcomes including into young adulthood (Goldschmidt et al., 2008; Fried et al., 2003; Marroun et al., 2016; Dreher et al., 1994). Taken together, the literature supports at best subtle and likely confounded effects. Although meta-analysis from the 1990s showed no effect of cannabis on birth weight, more recent meta-analyses demonstrate a decrease in weight among cannabis-exposed newborns with a pooled mean difference of 109 g (95% CI: 39, 180) (Gunn et al., 2016), perhaps reﬂecting an effect of the increase in THC concentration in cannabis in the past decades (ElSohly et al., 2016). 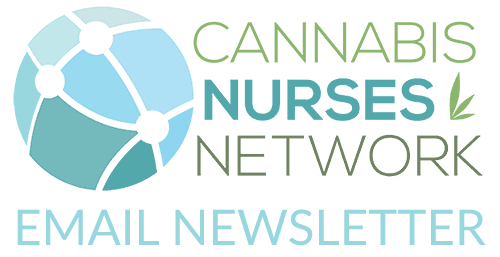 Additionally, cannabis-exposed newborns were more likely to be admitted to the NICU (OR 2.02; 95% CI: 1.27–3.21) (Gunn et al., 2016). Other outcomes that have been noted in neurologic studies include impaired visual acuity, verbal reasoning and comprehension and short-term memory as well as poorer test scores (Jacques et al., 2014, Metz and Stickrath, 2015). There are signiﬁcant limitations to this research. Mental health disorders, socioeconomic and educational factors and controlling for co-use of other substances including tobacco are just a few of the challenges that are encountered in this area of study. The quantiﬁcation and measurement of timing of exposure is challenging and many studies rely on recall of participants and utilize binary rather than quantitative measures of exposure. Perhaps most important in interpretation of this literature is recognizing the bias against the null hypothesis: deleterious effects are reported whereas negative effects are not. This is true not only in the popular media, but also within conference proceedings and peer-review publications. In a now classic paper, Koren et al. reviewed abstracts submitted to the Society for Pediatric Research on fetal outcomes of cocaine exposure. Only abstracts that found a positive correlation between exposure and poor outcomes were accepted although the quality of the methodology of those with negative ﬁndings was higher (Koren et al., 1989). We see this in the cannabis literature where among a battery of thousands of neurologic tests, the rare differences between exposed and unexposed children were highlighted and the fact that these outcomes were only measurable at certain ages of the children was minimized (Jacques et al., 2014, Metz and Stickrath, 2015). It is possible that its illicit status has led researchers to seek out negative outcomes as it is the assumption that substances that are illegal are harmful. The evidence base for maternal-infant health outcomes of cannabis use in pregnancy is more robust than for many other substances. However because the associations of cannabis and birth outcomes are neither absent nor catastrophic, rather they are at best subtle and moderated by other behaviors such as smoking and the presence of co-occurring mental health conditions, prenatal care providers appear to be reluctant to discuss cannabis use in general and rarely properly detail risks. The evidence supports slightly lower birth weight (of unclear clinical signiﬁcance), increase NICU admissions (may be biased by provider knowledge of maternal behavior), and slight effects on executive function (a ﬁnding strongly moderated by the caregiving environment). In the non-pregnant population it is anticipated that use will in-crease with legalization (Hall and Lynskey, 2016), but it is unclear whether and how women’s perceptions of cannabis and use patterns in pregnancy will change as states move towards de-criminalization and legalization. There are two small studies (published as abstracts only) from Colorado evaluating use before and after legalization. One, based on a combination of self-report and urine toxicology, showed an upward trend in use(Allshouse and Metz, 2014). The other measured meconium for THC among high-risk newborns. From 2012 to 2014 there was a slight increase in THC positive samples (from 10.6 to 11.7%) indicating a minimal change in population prevalence but a larger increase in the THC concentrations of positive samples (from (from 213 to 361 ng/g) (Jones et al., 2015) which reflects an increase in cannabis potency, an increase in the frequency of use, or, possibly, an increase in availability of edible cannabis. Legalization has increased the use of alternative forms of cannabis such as edibles in a non-pregnant population (Monet et al., 2015). More research is needed into cannabis use behaviors during pregnancy regarding the effects of both liberalizing policies and new cannabis products on the market to develop appropriate factually sound harm reduction public health messaging. Disclosure of cannabis use appears to be related to its legal status as rates of concordance between self-report and urine toxicology increased following legalization (Allshouse and Metz, 2014). Therefore it is possible that while liberalization of cannabis policy may lead to an in-crease in use during pregnancy, pregnant women may also be more forthcoming thereby improving dialogue and the possibility of counsel-ing during prenatal care. It is possible if not likely that, as with alcohol, there are trimester dependent and dose-dependent differences in perinatal outcomes. Additionally, different routes of consumption may have different fetal effects. With legalization of cannabis, these subtle differences may be able to be more accurately deﬁned. Lastly, our understanding of the medicinal beneﬁts of cannabis are still very limited. Many women who continue to use marijuana throughout pregnancy report that they do so because of nausea (Westfall et al., 2006) and perhaps this potential beneﬁt can be further explored if its illicit status is reversed. Future research should therefore include investigation of potential beneﬁts of cannabinoids and not simply focus on potential harms. Accurate measurement of use is essential in the ﬁeld and future research should utilize timeline follow-back methods. Timeline follow-back asks patients to retrospectively estimate their cannabis use on a daily or weekly basis from the date of the interview back. Quantitative estimates derived from this method not only better capture use (and consequentially fetal exposure) and the gestational timing of use, but greater uptake of this method would allow more meaningful comparisons between studies. Although the landscape of cannabis law and policy is changing, that of child welfare has not. The Child Abuse, Prevention Treatment Act, directs states to assess substance-exposure at birth and provide a “plan of safe care” for infants identiﬁed (DHHS, 2010; 2011). However, states differ greatly regarding policy. Eighteen states require reporting of substance-exposed newborns to child protective service, 3 consider substance use during pregnancy as grounds for civil commitment, and another 18 deﬁne substance use, including cannabis, as child abuse (Guttmacher Institute, 2016). Cannabis can remain positive on a toxicology screen for much longer than other substances and has the potential for a positive screen with second-hand exposure, which increases the chances of it being detected during pregnancy (Huestis, 2007). There has not been a corresponding liberalization of child welfare laws parallel to cannabis policy. Therefore, depending upon state of res-idence, cannabis use in pregnancy could result in a child abuse charge, which could have profound implications for the woman’s employment and livelihood as well as her family integrity. Prenatal care providers need to be aware of their local statute and reporting requirements and need to balance the potential negative consequences of child welfare involvement with the actual health and safety of the pregnant woman and her family. women who use cannabis should be non-punitive and grounded in respect for patient autonomy (ACOG, 2016). Allshouse, A., Metz, T., 2014. Trends in self-reported and urine toxicology (UTOX) detected maternal marijuana use before and after legalization. Am. J. Obstet. Gynecol. 1,S444–S445 (abstract only). American Congress of Obstetricians and Gynecologists, 2016. Committee opinion 664: the refusal of medically recommended treatment during pregnancy. Am. J. Obstet. Gynecol. 127e, 175–182. capta2010.pdf (accessed December 31, 2016). Department of Health and Human Services, Children’s Bureau, et al., 2011. https://www.childwelfare.gov/pubs/factsheets/about/ (accessed December 31, 2016). Dreher, M., Nugent, K., Hudgins, R., 1994. Prenatal marijuana exposure and neonatal out-comes in Jamaica: an ethnographic study. Pediatrics 93 (2), 254–260. ElSohly, M., Mehmedic, Z., Foster, S., Gon, C., Chandra, S., Church, J., 2016. Changes in can-nabis potency over the last 2 decades (1995–2014): analysis of current data in the United States. Biol. Psychiatry 79 (7), 613–619. English, D., Hulse, G., Milne, E., Holman, C., Bower, C., 1997. Maternal cannabis use and birth weight: a meta-analysis. Addiction 92 (11), 1553–1560. Fried, P., Watkinson, B., Gray, R., 2003. Differential effects on cognitive functioning in 13-to 16-year-olds prenatally exposed to cigarettes and marihuana. Neurotoxicol.Teratol. 25, 427–436. Goldschmidt, L., Richardson, G., Willford, J., Day, N., 2008. Prenatal marijuana exposure and intelligence test performance at age 6. J. Am. Acad. Child Adolesc. Psychiatry 47, 254–263. Gunn, J., Rosales, C., Center, K., Nunez, A., Gibson, S., Christ, C., Ehiri, J., 2016. Prenatal exposure to cannabis and maternal and child health outcomes: a systematic review and meta-analysis. BMJ Open 6, 1–8. Hall, W., Lynskey, M., 2016. Evaluating the public health impacts of legalizing recreational cannabis use in the United States. Addiction 1111, 1764–1773. Hingson, R., Alpert, J.J., Day, N., Dooling, E., Kayne, H., Morelock, S., Oppenheimer, E., Zuckerman, B., 1982. Effects of maternal drinking and marijuana use on fetal growth and development. Pediatrics 70 (4), 539–546. Holland, C., Nkumsa, M., Morrison, P., Tarr, J., Rubio, D., Rodrigez, K., Kraemer, K., Day, N., Arnold, R., Chang, J., 2016a. “Anything above marijuana takes priority”: obstetric providers’ attitudes and counseling strategies regarding perinatal marijuana use. Patient Educ. Couns. 99 (9), 1446–1451.